1. to cover with ice. Ummm... not to nitpick, but Dixon finished second at Milwaukee, didn't he? Argh! That's twice this weekend I've done something like that. 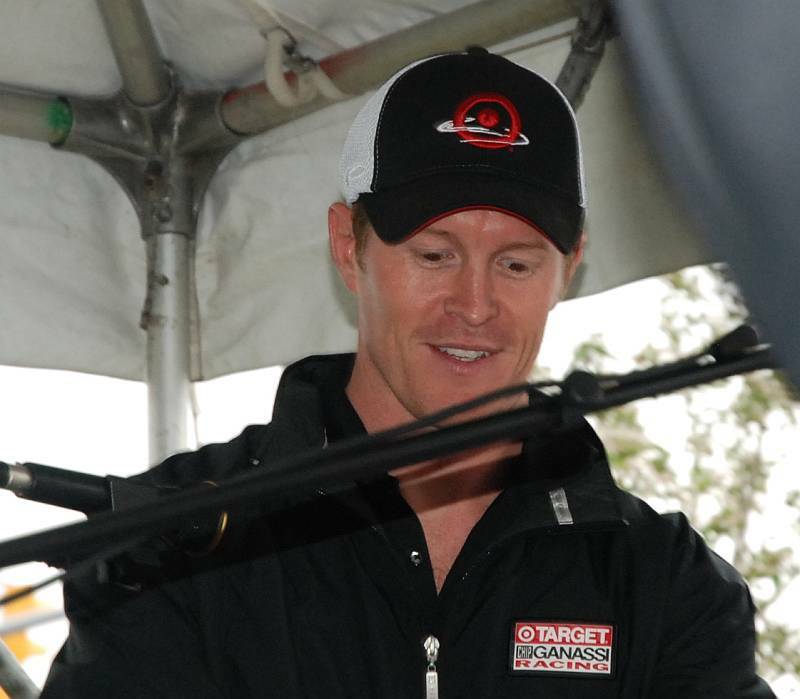 I must have some subconscious deal going where Ryan Briscoe is failing to register. jeff has his man-love object on his mind. It's becoming very pathetic. Borderline unreadable. The worst thing that happened at Indy was we showed up late for the Burger Bash and missed meeting Dixon. Had that happened I would have perhaps seen that he's just a human like you or me. But without the benefit of meeting him in person I'm still wondering if he is not in fact some indomitable creature sent from Middle Earth. You know, like that "Legolas" guy. I've met him, but I've never seen him eat or bleed, so ... Very cool in person. (HAR. Ice is cool.) I mean very personable, regular guy. did Kimi Raikkonen let Scott use the Ice Man title ??? How many of 663 laps led were under yellow? How many on track, green lap passes for the lead has Dixon made (I can think of one, maybe two that don't involve a wreck in front of him). I agree with anon--you're man love for the dixon is starting to get unbearable. 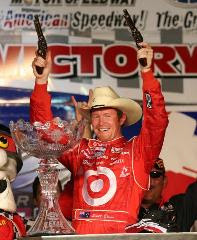 All I can think of though is that he looked rediculous in the hat and with the guns in his hand after winning Texas.